Has anyone noticed that the Hampton Roads Convention Center has gotten a little festive this holiday season? 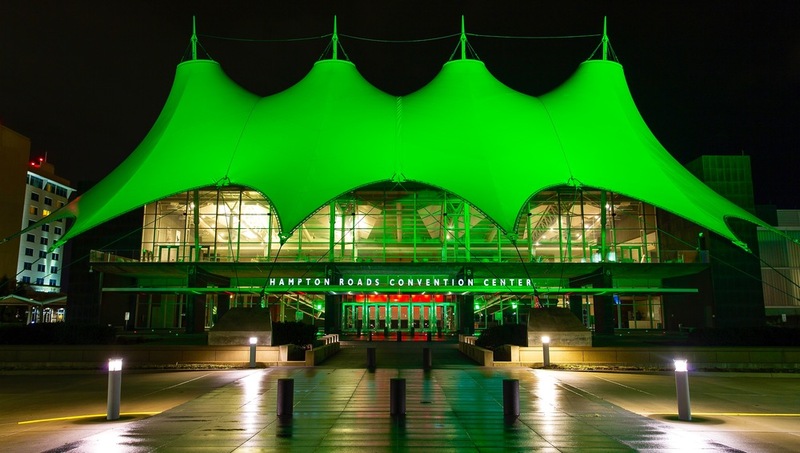 This year the venue has decided to light the canopy with an alternating green and red color scheme. The lighting is produced by two sets of LED lights that alternate colors every five seconds. What’s really cool is as the lighting outside changes, the color scheme on the inside changes as well. Also, the LED lights on the posts outside of the building are lighted in a red and green color scheme as well. Kudos to whomever came up with this idea. I hope that this trend of decorating the venue will continue in the future.